Once you have your project management system ready, it's time to start managing your projects, which unfortunately is no easy task in itself. Being a project manager requires a certain skill set, a blend of innate abilities coupled with some that can be learned. Humanity has a great track record when it comes to serious project management. From the Great Pyramids to the moon landing, our greatest endeavors required people working together on common goals. And that means intricate project management. PMI estimates there will be more than 15 million new project manager positions added to the global job market by 2020—that does not include the rest of us who will still have small projects to manage. It is the organization and strategic execution of everything that needs to get done to tackle a finite goal—on time and within budget. Whether developing new software, carrying out a marketing campaign, or landing a human on Mars, project management is what gets you to your goal. Every project is different. There’s no one-size-fits-all project management system—and there may be no one perfect system for you. But the past decades of experience have lent us a number of effective project management methods that can guide your work. Why do you need a project management system at all? Define common project management terms. NASA is one of the most relevant organization when it comes to project management. Think about it, on the Apollo missions there were over 400k NASA employees and over 20k third party companies and universities working together. So it may be that the people managing this project could have been instrumental to actually putting a man on the moon. It all started with an ambitious goal set by Kennedy – put a man on the moon and bring him back safely within a decade. At the time it was a rather outlandish idea, as NASA only managed to send an astronaut to space for 15 minutes. This complex undertaking would end up consuming an incredible amount of resources, innovation and planning as well as teamwork. As stated in NASA’s Managing the Moon Program the problem wasn’t so much what to do, as much as how to do it in so little time. We knew what had to be done. How to do it in 10 years was never addressed before the announcement was made. But quite simply, we considered a program of a number of phases. Program Control described what was needed, managed the budget and requirements, and specified how each piece worked together. Flight Operations ensured it’d work in flight. The above quote is an initial reaction to Mueller’s project management plan. But it proved itself out. Mueller’s project management system was a success. NASA did manage to put the first men on the moon and brought them back safely in less than a decade of Kennedy’s announcement. That was possible by employing a systematic approach, breaking down the project into manageable, repeatable steps, that guaranteed success even when working with so many individuals and companies. It was a project management system—and teamwork—that won the space race. Project management was not a new concept to NASA, China’s Great Wall or Egypt’s pyramids. These examples just showcase the power of project management. We can all agree there is little documentation of early methods and that today’s ideas have descended from past centuries ideas. One of the most obvious one is breaking the project into smaller bits and pieces. Most of our day to day activities can be considered a project: cooking a meal or cleaning the house. One of the simplest project management methods would be a to do list – list each step and check items as you complete them. The moment you want to do more, like cook a 3 course meal than things get a little more complex. There are other elements that need to be taken into account, for our example, cooking all courses in such a way that allows for proper serving schedule, you don’t want your food to be cold, or not ready in time. Suddenly, you find that you need a more powerful system to manage things effectively. The solution is the Gantt Chart. One of the first breakthrough when it comes to project management. First developed by Henry Gantt in 1910, it’s a simple and elegant solution. Basically it is a list of project tasks with start and end dates. You input how long a task will take and its dependencies. You will then be able to devise the “critical path” and calculate how long the project will take. 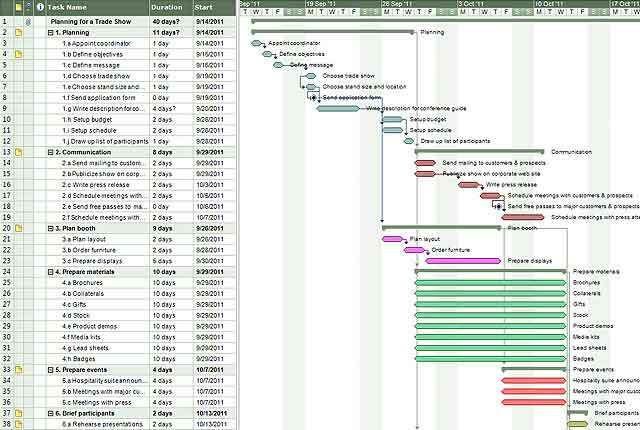 We expand on the Gantt chart in this article. Traditional project management usually looks very similar to our meal example above, only there are more tasks, strict deadlines and more resources. A project with tight deadlines might use a Gantt chart to decide when tasks start, and a project with constrained resources might use and Event Chain Diagram (similar to a Gantt chart but focused on resources rather than time). Some project might need less structure, something that traditional project management might not accommodate. If your project would be creating a series of articles for a website. Here specific deadlines might not be as useful as the process devised for creating an article, research, drafts, edits, feedback, edit, proofread and publish. For this type of project you would focus on managing the process rather than time or resources. The above example makes a great example for Agile Project Management. That is why it has been developed, tho help manage a process and produce consistent quality work. When you need to add more resources or a tighter time frame, you can make use of more advanced techniques like Scrum or Six Sigma. Below we will extend on these project management techniques. Industrial and technological evolution have left behind many examples of projects to have a different project management system for almost every need. Even if projects have less lofty goals and involve fewer resources, a structured project management system can help ensure your project’s success. It is important that you define what is important in your project, time, resources, process or a mix, and based on that pick a project management system. Before we go through each system let’s see a list of the most common terms used in project management. Gantt Chart: A bar graph and calendar fusion that shows the time each task in a project will require; a form of an event chain diagram that’s focused on time. With that out of the way, it’s time to find the right project management system for you. We’ll first talk about Traditional and Agile project management, then dive into Scrum, Kanban, Six Sigma and more. Every team and project are unique, meaning the project management system that fits best will be different. 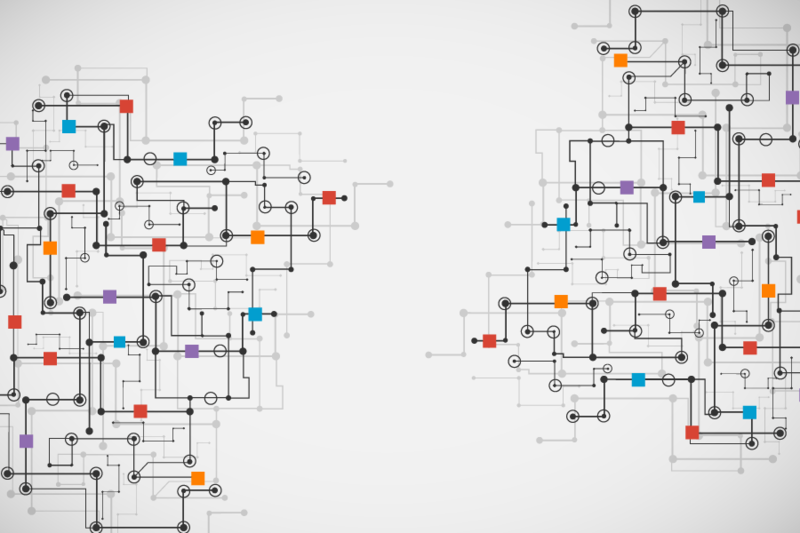 We will find teams around the world using one of these systems in a wide range of industries, governments using SCRUM, software developers using TPM or a grocery store chain using Six Sigma. Most often we will find teams using their own project management system, making use of the best parts of different systems to fit their needs. I think the best way to prove this is with some examples where project management saved the day. Tupalo, a social network startup based in Vienna, was experiencing rapid growth. Developers ware faced with a constant bombardment of requests from both customers and clients. Reaching the upper limit of what they could handle was becoming the standard, and they were forced to work on more than one thing at a time -all the time. That was not sustainable. Due to time constraints TPM(Traditional Project Management ) and Scrum didn’t seem like they’d fit their team’s needs. As a result, they went with Kanban. The project manager made some slight variations on the three status categories: adding a deployment category, and useing color coded Post-its to assign a value to each task, due dates were on red tasks only. So all of that in addition to seeing the whole project at once, developers could instantly see priorities within each category. The results were highly positive: a reinvigorated team that produced better quality work with faster delivery. Traditional Project Management has been overlooked as a solution when it comes to software development, because now teams prefer to maintain higher flexibility and an increased level of change management throughout the development process. That is not to say we should skip it altogether, there is a way to combine some Traditional Project Management strengths with some Agile ideas and build a robust solution. Lets take a look at Panoptic Develoment, and see what changes they made to traditional project management to fit their needs. Firstly, the PM, Shannon Lewis was an expert on the waterfall model understanding it’s constraints, either quality, features or time would have to be sacrificed in order to deliver the project. The solution came when Lewis started hew own company. Tight budgets, stakeholder management and unforeseen delays that a new organization brings wouldn’t allow for the use of traditional project management. One of the solutions was to add Agile’s short iteration cycles to the Waterfall testing phase (as seen in the picture above). This allowed them to keep the development in a continuous state of testing and improving compared to building something for delivery and moving to the next piece. This solution allowed the team to focus on quality while still adding new features, all while keeping up with their deadlines. There are a lot of cases where the job is never really finished, and we will take a look at one example from the U.S.A’s recycling industry. Secat Inc, a Kentucky research lab, has teamed up with the University of Kentucky and Sustainable Aluminum Industry to boost aluminum recycling rates across the country. Six Sigma was the methodology of choice based on the fact that research data would be abundant, they had statistics on everything from residents to aluminum recovery rates. The second objective was to save money – every can not recycled would incur costs on the local recycling facilities as well as harming the environment. Strategy: they targeted the demographic that consumed the most aluminum, and identified the most common places these people go to, sporting events, university campuses, and delivered custom targeted ads to increase awareness about recycling. Six Sigma looks at defects, and how to fix them. Every can that went into the regular trash was considered a defect. They measured the new statistics against their baseline to determine the campaign effectiveness. Also they identified several steps missing from their overall process, the continuous improvement process, that they implemented, each time improving collection rates. The control phase focused on recycle rates, monitored weekly, using the resulted date to verify the project control. Six Sigma was the perfect choice for ongoing work management, and helped teams improve a task that usually doesn’t need project management. There is no one-size-fits-all project management method. Some might see project management as a science, but it’s not in any way an exact one. There might be the case in witch a project fits one of these methods, but most of the time it is better to go for your own hybrid system. What is important though is that you use something to manage projects, that gives your team structure. Once you have your project management system ready, it’s time to start managing your projects, which unfortunately is no easy task in itself. Being a project manager requires a certain skill set, a blend of innate abilities coupled with some that can be learned.